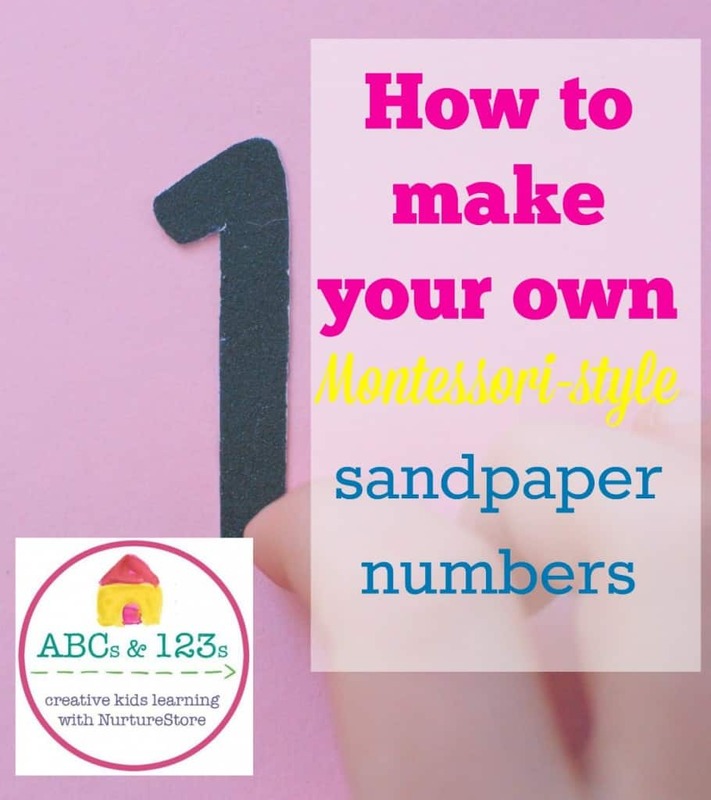 Please welcome Erin from The Usual Mayhem who joins our ABCs and 123s letter and math series today sharing this super idea for making multi-sensory Montessori-style sandpaper number. Thanks for having me here as a guest poster! 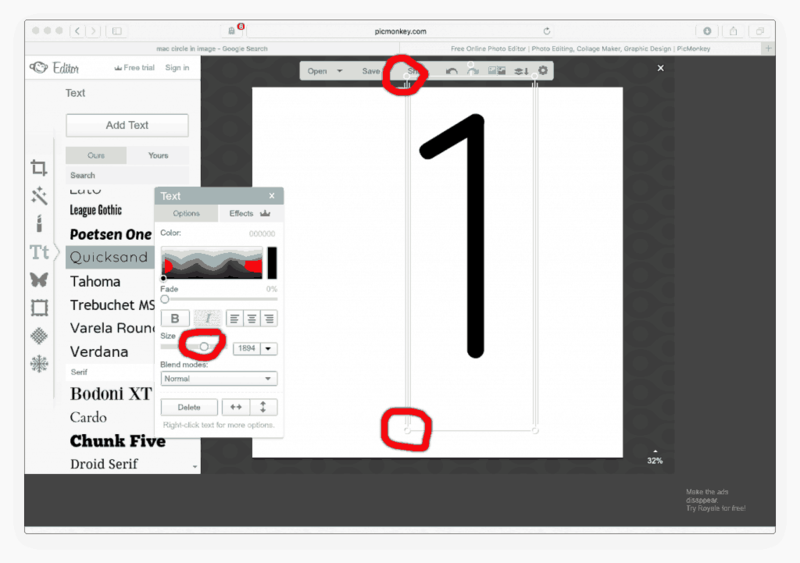 Today I’ll show you how to make your own sandpaper numbers (and letters). Readers of my blog, The Usual Mayhem, will know that we use a combination of Waldorf and Charlotte Mason education in our homeschool. What you may not know is that I worked in a Montessori school, attended a Montessori school myself, took the teacher training, and it is my preferred method of education for the youngest ages. Step 1. Go to www.picmonkey.com, a free editing software. 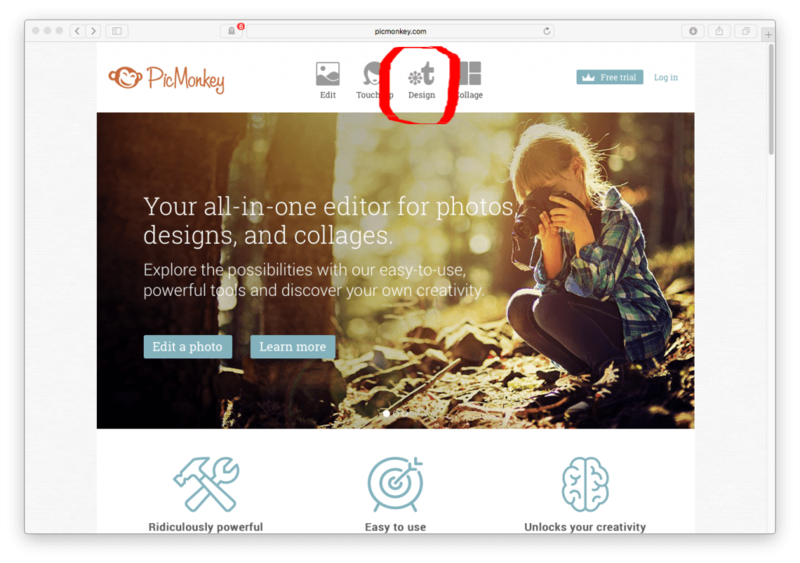 Choose “Design” from the options. Step 2. 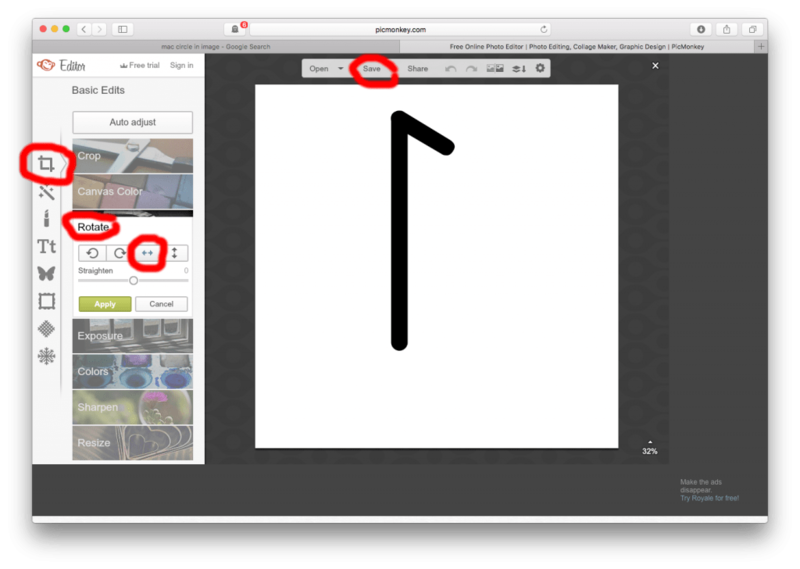 From the left sidebar, select the font icon (the letters). Step 3. 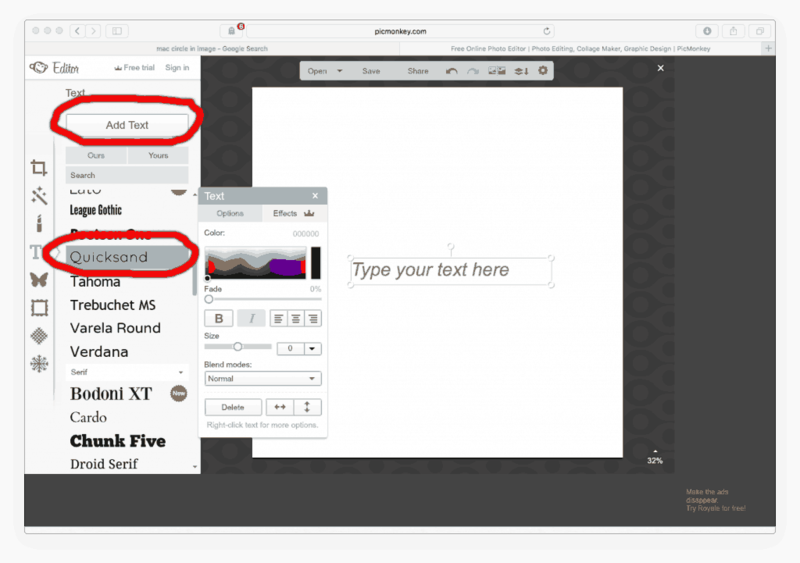 From the fonts, scroll down and choose the one you like (I chose Quicksand) and then click “Add Text”. Step 4. Click on the text box that appears and type in your number. Then use the frame thingy to stretch it much larger. Step 5. 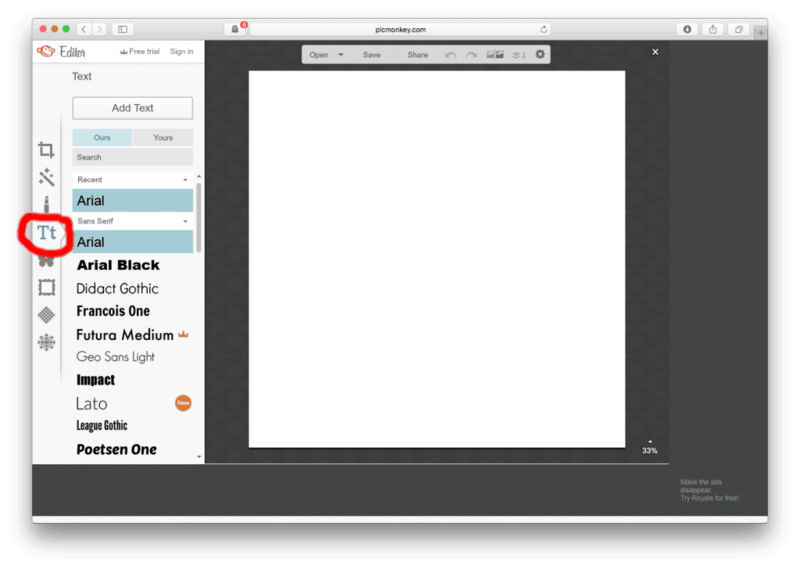 Go back to the left sidebar and choose “Basic Edits” (the thing that looks like an overlapping square at the top). Go to the “flip” option and flip the letter backwards. Save your picture. Step 6. Go to your printer and tell it to print the image onto whatever size label you have (in a pinch, you could print onto regular paper and use glue for the next step, but labels are a time saver). Step 7. Stick your number label onto the back of the sandpaper and cut out the shape carefully. Step 8. All you have to do now is glue your sandpaper number to your cardstock, if you’re using it, and you’re done! 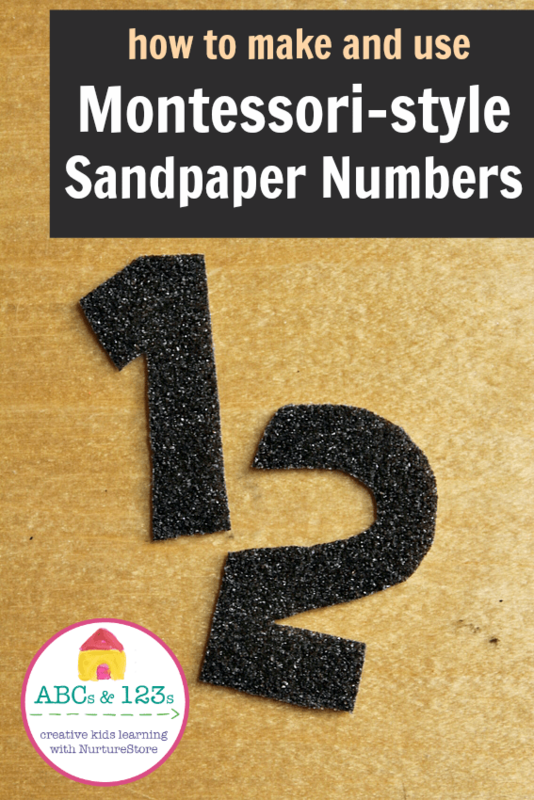 If you’d like some ideas for using sandpaper numbers with kids up to about 12, you can see my post 5 Ways to Use Sandpaper Numbers over at The Usual Mayhem today too! Erin is the sleep deprived mother of three behind The Usual Mayhem blog. She homeschools, homesteads, and works at an antique store in her “spare” time. She drinks far too much coffee and is easily distracted by shiny things. Visit the blog to see the inspirations and ramblings of an addled mind.